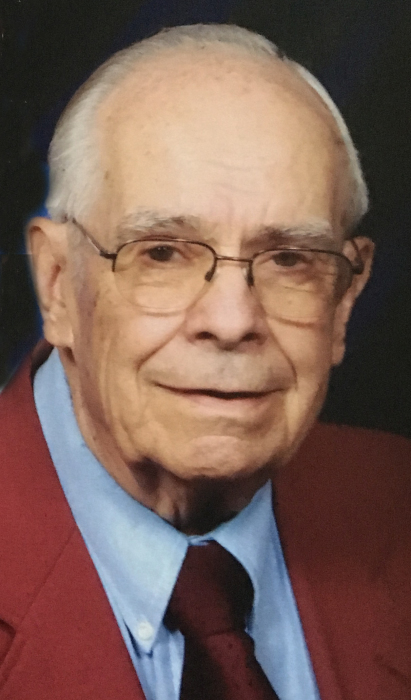 Ted A. Weaver, 89 of Niles passed away on Friday, January 18, 2019 at 6:22am. He was born on March 20, 1929 in Niles to the late Ralph and Carrie (Hawkins) Weaver. On July 31, 1951 he married Vivian Cochran who survives. He is survived by his wife Vivian, their children; Kathleen (Bruce) Martin of Bainbridge, Georgia, Patti (Terry) Riggenbach of Niles, Michigan, Terry (Sue) Weaver of St. Louis, Missouri, grandchildren; Brent (Lisa) Martin, Nicki (Dustin) Shockley, Scott (Jen) Riggenbach, Micah (Becky) Riggenbach, Adam (Mary) Riggenbach, Emily Weaver, Great grandchildren; Brier, Perry 'Braeden', Brynlee, Betton, Lydia Kate, Eli, Matigan, Amity, Colton, Carsyn, Adalyn, Evan, Ian, Owen, Isaiah, Anna, and Abe. Ted honorably served in the Army as a Master Sargent during the Korean Conflict. He then returned to his civilian job as a Photo Engraver at the South Bend Tribune. He worked there for 43 years until his retirement. Ted loved to go camping with his family. Together with Vivian, they visited all 50 states and enjoyed traveling abroad. He also loved fishing. Ted was a man of faith. He was a member of 1st Baptist Church in Niles. He previously was a member of Bertrand Bible Church. He and a group of dedicated men worked tirelessly to build the church themselves. He also taught bible classes for many years and was on the church board. Visitation for Ted will be held on Tuesday, January 22, 2019 from 10am – 11am at Halbritter Wickens Funeral Home 615 E. Main St. Niles. A funeral service will begin at 11:00 am. Military honors will follow the funeral service. Burial will take place in Mission Hills Memorial Gardens. Memorials in Ted’s name may be made to Caring Circle Hospice 4025 Health Park Ln. St. Joseph, MI 49085 or the 1st Baptist Church 1446 E. Main St. Niles, MI 49120.